Either product will do a great job. 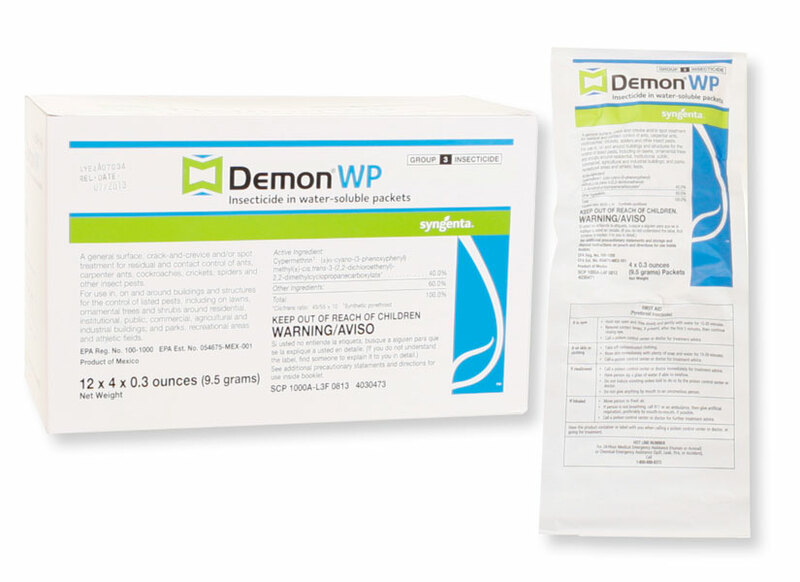 Demon WP will give you a faster kill, but also will potentially leave a powdery residue on windows, dark surfaces, etc. If you are careful you shouldn't have any problems. Demand CS does not kill as fast as Demon WP, but will give a longer residual - up to 200 days indoors. Outdoors it will not last that long, but should give control up to 30 days. Also Demand does not leave much of a residue on dark surfaces. Be sure to use ePest IPM Sticky Bug Traps to trap them indoors.